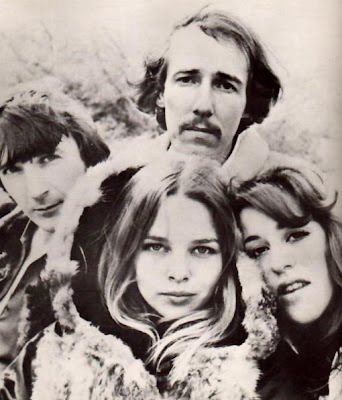 The Mamas and Papas have been described as America's first hippies, which is primarily why they're included here. The quartet had originally formed in New York City back in 1963. John Phillips, who was to become their main songwriter was born in Parris Island, South Carolina on 30 August 1935. By the age of 15 he was playing in jazz outfits and he was later a member of the folk outfit, The Journeymen. Holly Michelle Gillian Phillips, born in Long Beach, California on 4th June 1945, had abandoned a promising modelling career to sing alongside him in The Journeymen and married him back in 1962. The Journeymen, incidentally, had also included Scott McKenzie, who would later join the reformed Mamas and Papas in 1985. Cass Elliot, born on 19 September 1943 in Alexandria, Virginia, had earlier been in The Mugwumps with the fourth member of the quartet, Dennis Doherty, (who'd been born on 29 November 1941 in Halifax, Nova Scotia, Canada), and future Lovin' Spoonful member Zal Yanovsky. After perfecting their vocal style in the Virgin Isles they settled in Los Angeles in 1964 and signed to Lou Adler's Dunhill label. 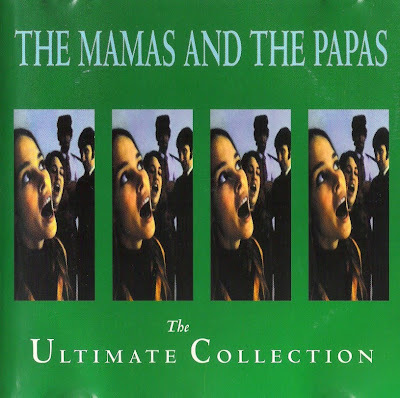 They preferred the name The Mamas and The Papas to The Magic Circle (the other possibility they were considering at the time), 'Mamas' being what Hell's Angels called their girls.